Courtesy of CANDY SWICK & COMPANY. UPDATED BEACHFRONT IN GATED COMMUNITY! Renovated modern townhome includes pre-plumbing for an elevator from ground level to all upper flrs. It showcases an island lifestyle w/ sky-high vaulted clgs, custom finishes, furn quality cabinetry, granite, solid-surfaces, HW & tiled flring. The ground level entrance presents the first flr game/media room w/ wood-beamed clgs, wood-look tile & a beachside deck. The main level has an open great room plan w/ living & dining spaces overlooking gulf views. It features HW flring, vaulted beamed clgs, clerestory windows, custom fixt & an enormous entertainment island. The updated kitch boasts furn quality cabinetry, granite surfaces & bkfst bar, a dimensional stone backsplash, a large farm sink, SS appls & a pantry. Adjacent is a flex space w/ privacy & a laundry closet. Also on this level are a guest Ba, a guest Br & a third bed/Ba ensuite; both Brs are adjoined w/ a sunrise balcony. The sunset balcony on the gulf side overlooks gorgeous beach vistas. The upper level MBr is an oasis w/ luxury appointments & multiple balconies plus skylights, French & sliding barn doors, a large WIC & a bonus storage rm. A spa-like MBa has a claw-foot tub, a sep glass enclosed shower, dbl vanities, dual sinks, a water-closet & custom tiled flrs w/ insets. It is located in a gated comm w/ an attached 2CG. The charming comm at 360 North is on approx. 9 acres & offers direct gulf frontage w/ a pvt beach & a mangrove buffer ensuring privacy. Please, send me more information on this property: MLS# A4414052 – $1,539,000 – 260 N Shore Rd #2, Longboat Key, FL 34228. 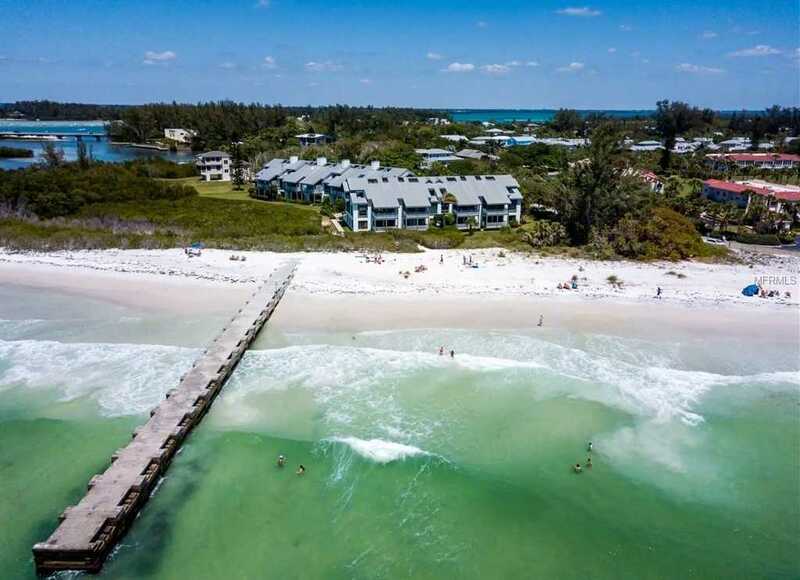 I would like to schedule a showing appointment for this property: MLS# A4414052 – $1,539,000 – 260 N Shore Rd #2, Longboat Key, FL 34228.